Again, no testing but more machine art. 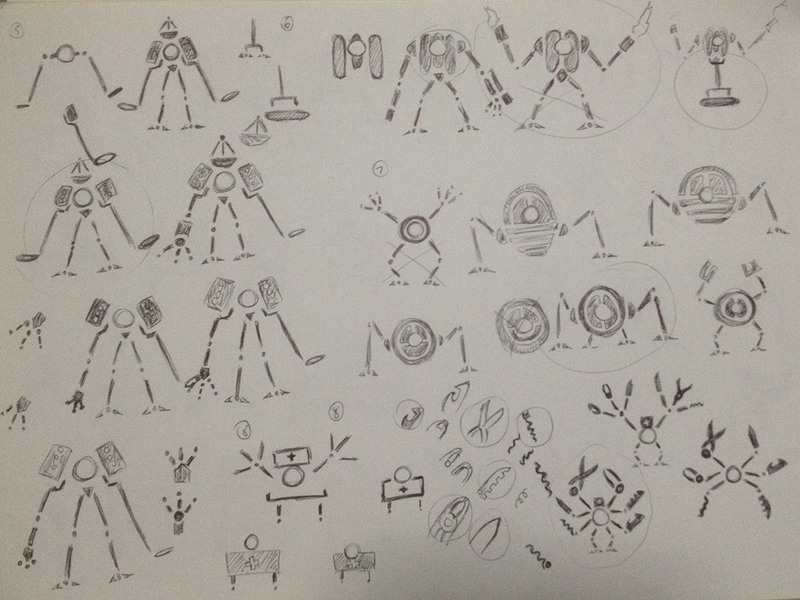 Top right is the ‘Detector’ a metal detector and a satellite dish robot. Top right is the ‘Burner’ a flame thrower on wheels. Middle right is the ‘Mind Controller’ which is basically a brain with legs. Bottom right is the ‘Repair Bot’ which is a Swiss Army Knife. What’s next: again more art and hopefully some testing.